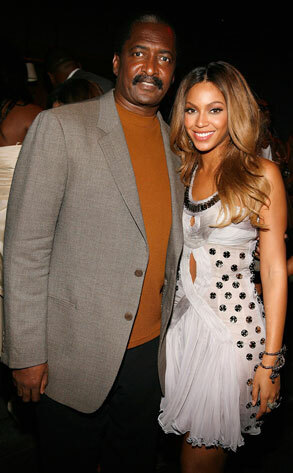 KayKiSpeaks.com: Beyonce Fired Dad Mathew Knowles for Stealing? Told you guys a while back that Beyonce had fired her Dad Matthew Knowles who'd been running her whole show since its beginning. There were all sorts of speculations as to why she had let him go.. most thought it was to let her hubby Jay take over her career. Well, we thought we'd gotten the answer on her MTV special the other day when she explained it was simply, "Time for change" & she was running her own show, but according to TMZ..that is not the case. They have obtained legal documents In the documents Matthew Knowles is claiming that Live Nation Ent. convinced Beyonce that he was stealing from her or "had stolen money from Beyonce on her most recent tour or otherwise taken funds that [he] was not entitled to." Bey supposedly hired her own legal firm to investigate, which resulted in his firing. He wants a judge to force Live Nation to explain just how he was stealing.. this is sad & could get ugly! I hope it is not as real as it seems! this is horrible. i never trusted him. i bet he been stealing from her the wholetime. I guess Im sorta hoping its not true.